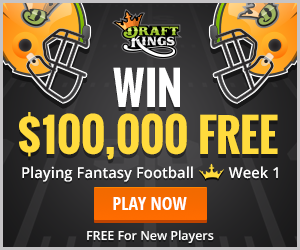 Finding and exploiting overlay is one of the easiest ways for any DFS player – new or old – to improve their chances of cashing and grabbing and a big score. Overlay exists in Guaranteed Prize Pool tournaments only, when the number of buy-ins entered is not enough to cover the prize pool the site guaranteed. The overlay is the amount of their own money the site must kick-in to make up the difference. Anytime there’s overlay that means a higher percentage of the field will cash, there’s essentially free money up for grabs and it may become a lot easier to move up to higher ranking prizes – depending on how great the overlay is.